Quick Take: Boardwalk Empire, "Two Boats and a Lifeguard"
Review, Boardwalk Empire, "Two Boats and a Lifeguard"
(S0208) We all know that Terence Winter loves dream imagery. And if animals are involved, even better. The man knows what works and "Two Boards and a Lifeguard" will no doubt prove to be a major turning point in the series. We start off with a peek into our main subject’s subconscious. Nucky’s recurring dream is packed with metaphors about his father and his role as one. The Ritz bellboy who opens the sequence tells Nucky that the Dempsey vs Carpentier showdown was “some fight” and the episode begins with the same message it ends with: the big fight hasn’t happened yet. The dying deer reminds us of Nucky’s wedding gift to Jimmy. Nucky may have taught the young gun to hunt but it’s clear he still has a lot to learn. This point is driven home by Manny Horwitz who calls Jimmy out right under the commodore’s golden roof. Sure he may have eaten venison, but only if his daddy shot it down for him. Jimmy doesn’t know why he’s in this war but he definitely wants to fight. We’ve gotten pretty personal with many characters this season but the young soldier remains one of the show’s biggest mysteries. It was refreshing to see some heart-to-hearts between Atlantic City’s leading men and the women behind them. Margaret gives Nucky the inspiration needed to plan his next play and Angela finally has a real conversation with Jimmy. She knows another Jimmy, the Princeton Jimmy and as an objective third party she might just be able to provide the insight he needs to get his game together (even if she does get distracted by every new gal in town). In the meantime he’ll continue to get unsolicited advice from a more manipulative female influence, his mother Gillian Darmody. “Success has many fathers dear. Failure is an orphan,” she declares. Rather insensitive considering that Jimmy is virtually fatherless, and would be even more so if Gill had had her wish for a successful hit on Nucky. But coming away from our main men, one of the best tidbits this episode was Van Alden’s free lunch. The bible-banging prohi seems to actually be enjoying his slow departure from evangelism. I’m still hoping to see Lucy pull through and come back with a bag of cash for her and Abigail but in the meantime at least Van Alden is father enough to ensure the baby is properly looked after. The death of Nucky’s father is definitely the lifeguard of this episode and Nucky will not be fool enough to wait for god to save him from drowning. Nucky will take this perfect opportunity to lay low and wait for his ship to come back in. Burning Question: How long can hot-headed Jimmy go on? Cheap Shot: Dare I say the glove with the hole in it? Oh Yes: Chalky White will finally get some revenge! I totally had The Sopranos on my mind during the dream sequence as well, Brittany. 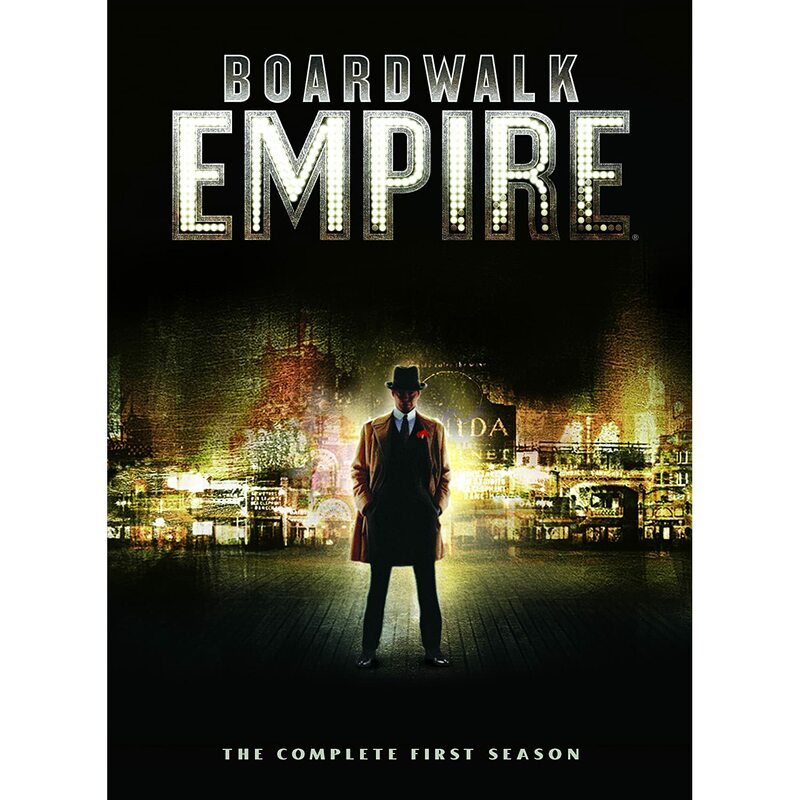 It's worth noting that even with all of that show's alums on board (both behind and in front of the camera) *and* the fact that it's a crime drama involving gangsters who live in New Jersey *and* it's on HBO, Boardwalk Empire still stands alone as a distinctly unique and in my view outstanding series.